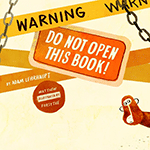 Fun activities based on Adam Lehrhaupt's children's books. Noun and Verb lost some of their words! Can you help them find them? 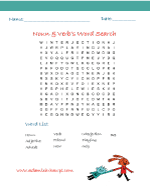 Have fun with this parts of speech word search. What can Noun be? Anything! Best of all, you get to decide! Color him in any way you like. 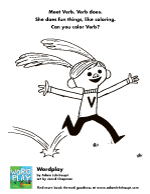 What can Verb do? Anything! You can make it happen. Color Verb in any way you want. Zoey is planning an adventure. 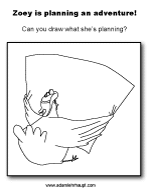 Can you use your imagination to help her figure out what to do? 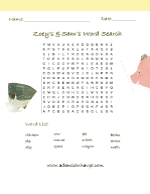 Zoey and Sam have misplaced some of their words. 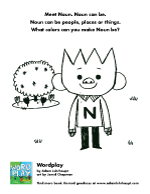 Can you find the words for them? 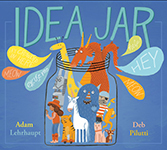 Build your own idea jar and stock it with ideas. Idea template and starter ideas included. Don't forget to check out Adam's teaching and activity guides!